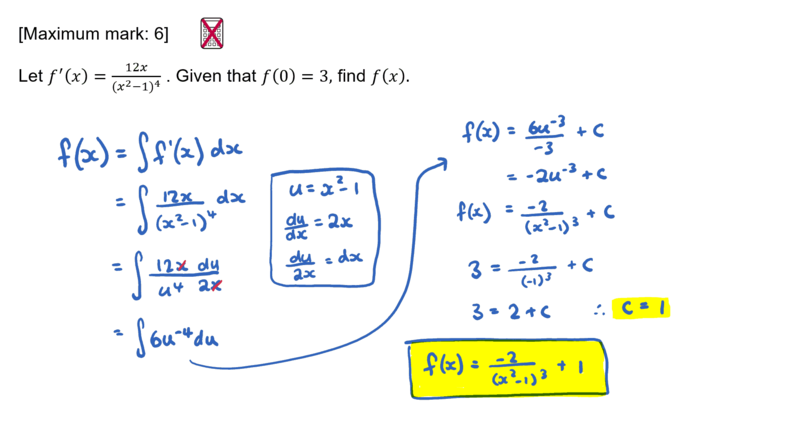 This video explores the different types of Differentiation Rules involved with Calculus. Understanding these are important in IB Maths SL Topic 6: Calculus. Differential calculus questions are frequently found in IB Maths SL exam papers, often in Paper 1. This video is accompanied by two IB exam style question to further practice your knowledge. This video covers the Equation of a Tangent, a key concept in IB Maths SL Topic 6: Calculus. Equation of Tangent questions are frequently found in IB Maths SL exam papers, often in Paper 1. This video is accompanied by an exam style question to further practice your knowledge. This video looks at Optimisation & Calculus Curves, a key concept in IB Maths SL Topic 6: Calculus. Optimisation & Calculus Curves questions are frequently found in IB Maths SL exam papers, often in Paper 1. This video is accompanied by two IB exam style question to further practice your knowledge. This video explores Integration Rules, a key concept in IB Maths SL Topic 6: Calculus. Integration questions are frequently found in IB Maths SL exam papers, often in Paper 1. This video is accompanied by two IB exam style question to further practice your knowledge. This video explores Integration by Substitution, a key concept in IB Maths SL Topic 6: Calculus. Questions involving Integration by Substitution are frequently found in IB Maths SL exam papers, often in Paper 1. This video is accompanied by an exam style question to further practice your knowledge. This video explores Volume of Revolution, a key concept in IB Maths SL Topic 6: Calculus. Volume of Revolution questions are frequently found in IB Maths SL exam papers, often in Paper 2. This video is accompanied by an exam style question to further practice your knowledge. This video explores Kinematics, a key concept in IB Maths SL Topic 6: Calculus. Kinematics questions are frequently found in IB Maths SL exam papers, often in Paper 2. This video is accompanied by two IB exam style question to further practice your knowledge.